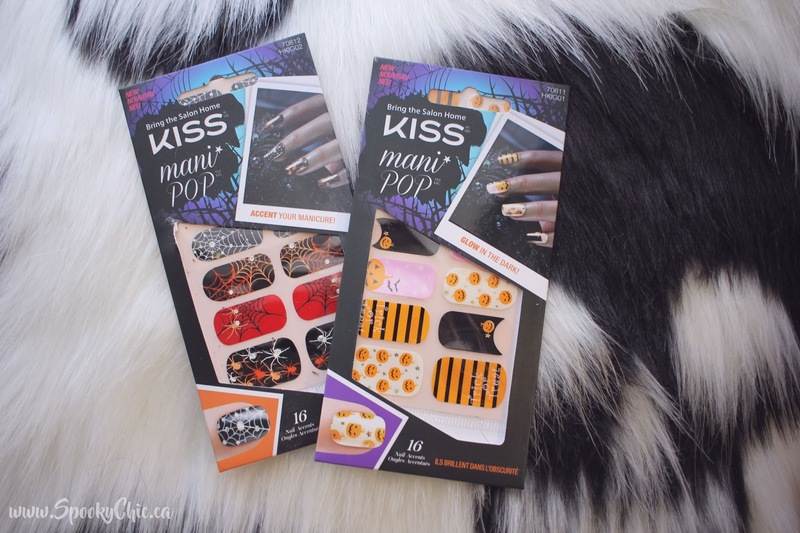 As promised in my last post about the Kiss Products event I said I would share a few reviews about the products and thought that what better time than to share the Kiss Products and ImPRESS Nails Halloween collection! So these aren't all the items in the Halloween collection as I wasn't quick enough to snag them at the event but I did manage to get ahold of these ones and I couldn't be happier. I have always loved stiletto nails and the fact that they made them in matte black, matte grey AND matte red (not pictured) is so exciting. 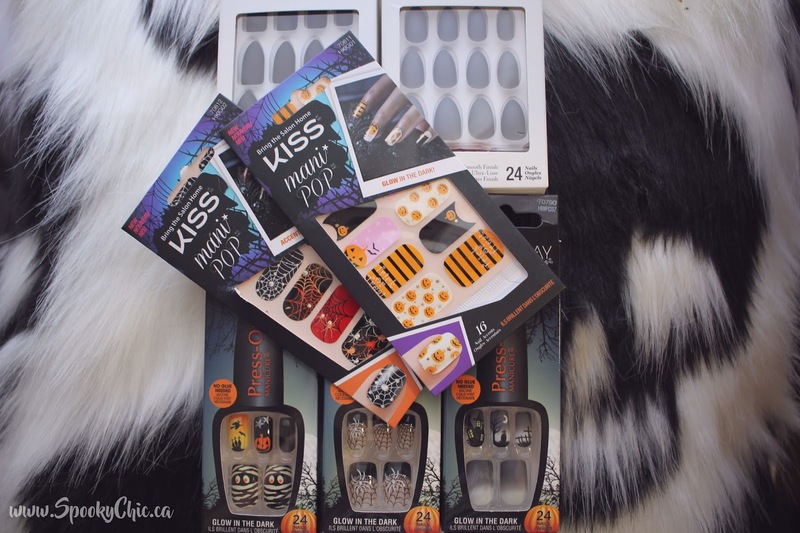 I've always been a big fan of imPRESS nails and used to wear them quite frequently! 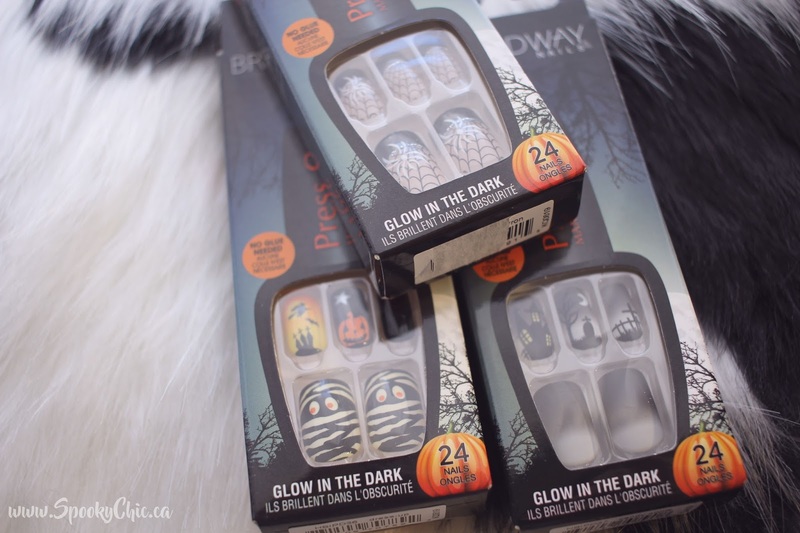 Then we have three different sets of the Halloween graphic nails, one with spiders, one with mummies and pumpkins, and another with a graveyard scene. 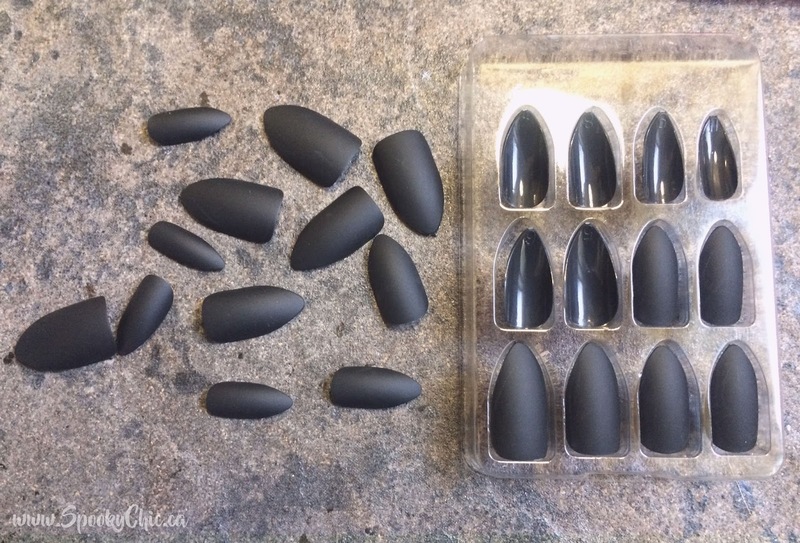 Here are the two colours of stiletto nails in matte black and matte grey and if you keep scrolling I show you the matte black nails on! These here are the nail wraps which are always a super cute and easy way to dress up your nails if you don't want to wear fake nails! And now for the try on, I wanted to dress up my nails a little bit and thought there couldn't be a better and quicker way! 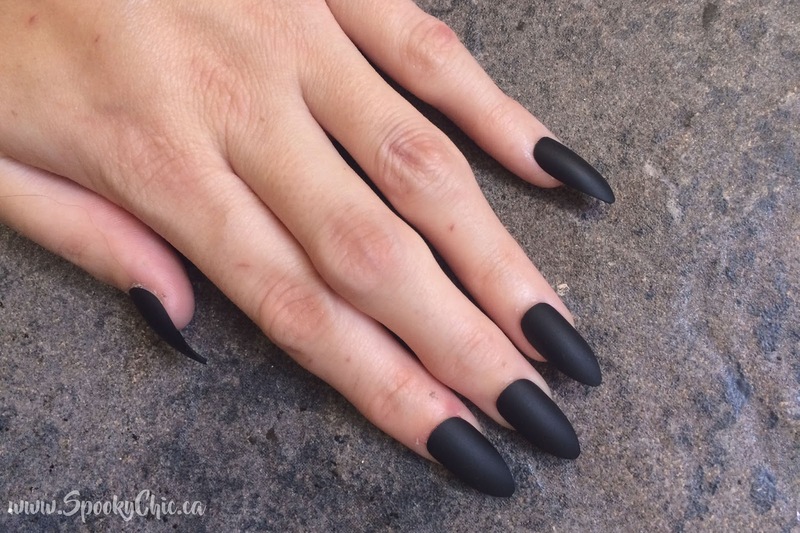 I chose the matte black stiletto nails and they took me around 10 minutes to apply. 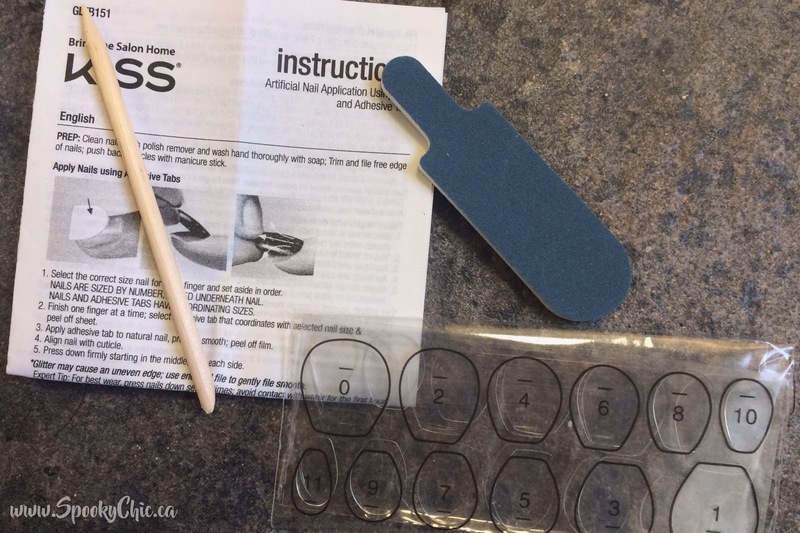 The nails come with two different options to apply, either the gel pads or nail glue. 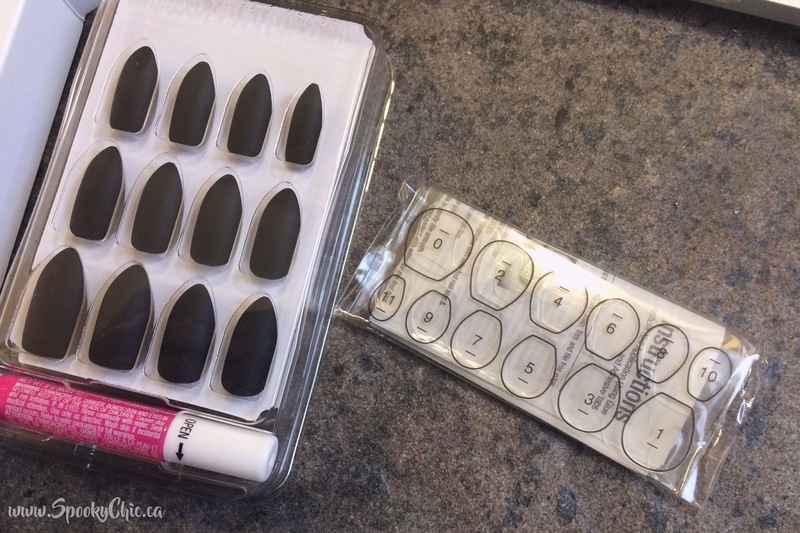 I chose to apply them with the gel pads because I had never tried them before and did want to remove them by the end of the day. They held on fairly well but unfortunately I had to wash my hands only a few minutes after applying the nails and later in the day I did have a few that were more loose than others and I think that was the issue. Others that I assume weren't effected by the water held on until I was ready to take them off, so once they have enough time to take hold they last a very long time without any worries. Since there were a few that had fallen off I did choose to glue them on with the nail glue and like any other it held them on very solid and I was happy with that. When I went to take them off I just peeled the gel ones off starting from the back and then with the ones I had glued on I just had the crack the sides and then peel from one side to the other. Super simple and painless, which makes it a great way to dress up an outfit for a day! Inside the packs it comes with two of each size and they have sizes from 11 to 0, 0 being the largest and 11 being the smallest. Luckily for me the smallest sizes fit my finger nails with only a little bit of overhang on the sides as I have very small finger nails. And here's the end look! They were comfortable and easy to apply and remove and I couldn't even tell they were there all day for the most part! 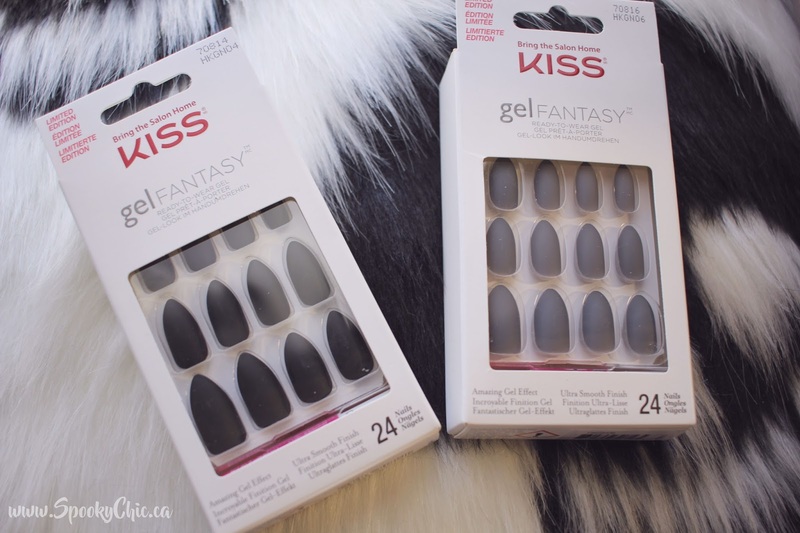 I love them and will definitely be using KISS nails again and again! What do you think of them? Have you tried them out before?